After a month in India, I finally had a weekend free to do some traveling outside Hyderabad with my friends! Until now, our weekends here have been occupied by activities in Hyderabad – seeing historical sites, hiking through rocky terrain, shopping in the old markets, watching Bollywood movies, cooking Indian food… But because Thursday was Independence Day here in India, my friends and I took advantage of the long weekend and flew to Delhi! Our program directors were going to take our entire group to Hampi, a historical city in a nearby state, but because of the recent Telangana decision that I talked about in my last post, they decided to postpone our trip to a later date. Although we were disappointed, they assured us that it would be fine to travel anywhere independently as long as we didn’t take roads through the areas of agitation. What resulted from their announcement Monday afternoon was a mad rush to decide what we would be doing to take advantage of this rare opportunity: a long weekend. Within hours of the announcement on Monday, my friends Kate, Romi, Jennie and I had booked our flight to Delhi and were already reading our guidebooks for ideas! It took hours of last-minute planning, but before we left Hyderabad, we had our travel plans intact and a list of all the interesting things to do in Delhi. 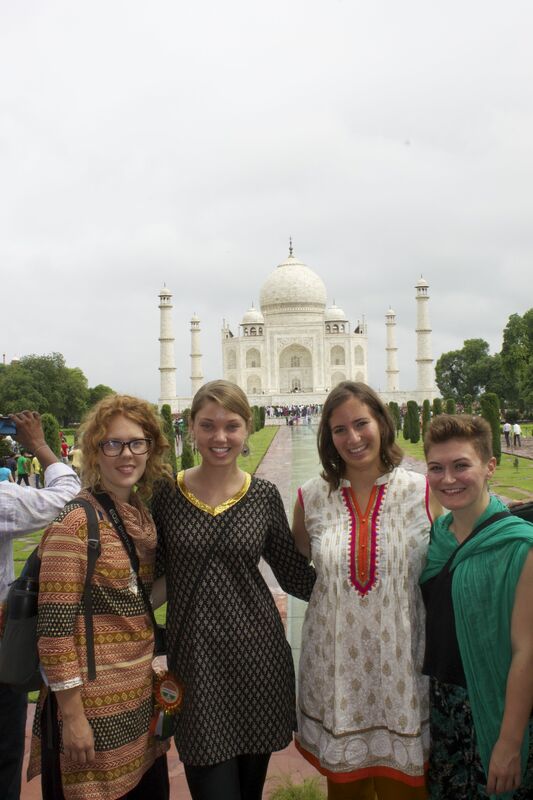 We even booked an early 3-hour train from Delhi to Agra so that we could spend Independence Day visiting the Taj Mahal! We left Hyderabad early Wednesday morning and arrived in Delhi with a whole afternoon open to explore. With Lonely Planet as our roadmap for the weekend, we explored the area around our hotel and found a great restaurant that served all-you-can-eat North Indian thali, a to-die-for meal that anyone visiting India must try. For four days straight, we did one thing after another and tried to fit in as many activities as possible. But instead of listing all of them here, I’ll just give the highlights. Getting from place to place may be the most mundane part of traveling for most people, but as I have explained in earlier posts, transportation in India often brings new and exciting experiences. During our last dinner in Delhi, we thought back over our 4-day trip and counted at least ten modes of transportation that we had used: planes, taxis, walking, auto rickshaws, bicycle rickshaws, city buses, sleeper buses, metros, sleeper trains, and we added, jokingly, swimming, because the monsoon was so bad in Delhi that the streets were covered in water half way to our knees. 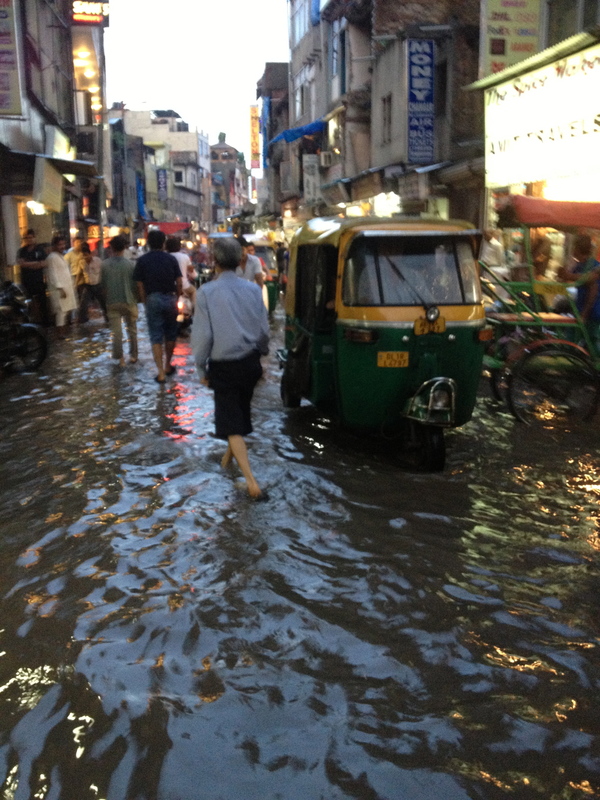 Every time we walked to and from our hotel, we had to wade through a “puddle” the size of a football field that poured into some of the shops near the road! The sleeper train was definitely a new experience for me this weekend. When booking a long-distance train in India, there are so many options that choosing can be really overwhelming! You can choose between General (the cheapest option), Sleeper, 3 A/C, 2 A/C, and 1 A/C (the most expensive). You don’t need to book a General ticket ahead of time, but for this reason, you never know what will happen and you may have to stand for the entire trip. Because we booked our train so last-minute, the only option for us (besides the General compartment, which we were advised not to take) was the Sleeper. The benefits of the A/C compartments are that they have air conditioning and that they provide increasing levels of space, comfort, and privacy. 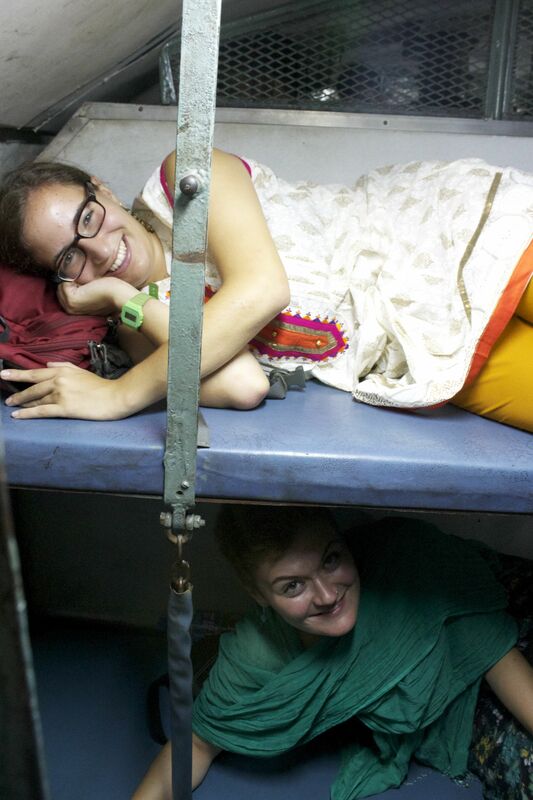 When we entered the Sleeper compartment early Thursday morning, we found our “seats,” which actually resembled 3-level bunk beds. We slept the whole way and the trip was over in a snap! I wonder now why all transportation isn’t like this. The main highlight of our trip was obviously seeing the Taj Mahal. I was a little skeptical before hand, but the Taj is even more magnificent than I could have ever imagined! Not only is it huge and glowing, but every inch is beautifully decorated with such ornate stone inlay that it is impossible to capture in a photo. We spent a whole morning at the Taj walking around the grounds and taking in the experience of being at one of the Wonders of the World! 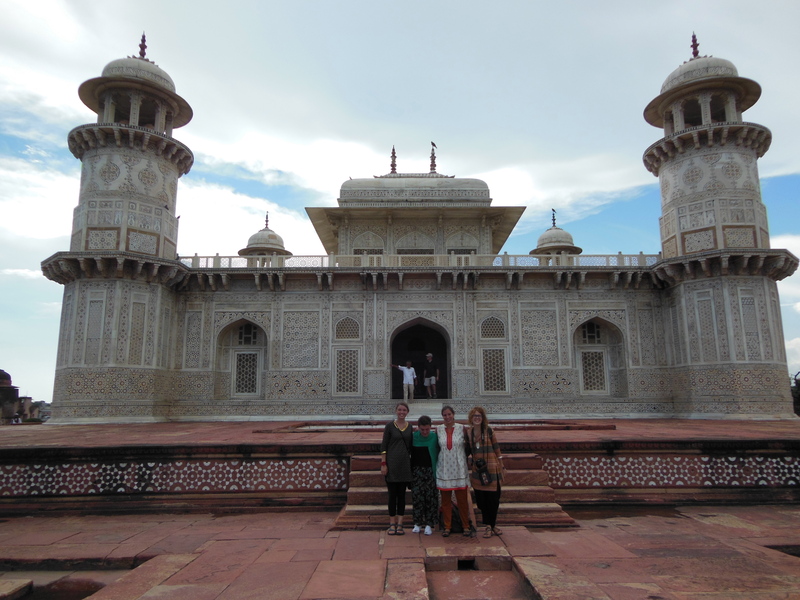 Our entire trip was a lesson on the history, culture, and religions of Delhi and Agra. 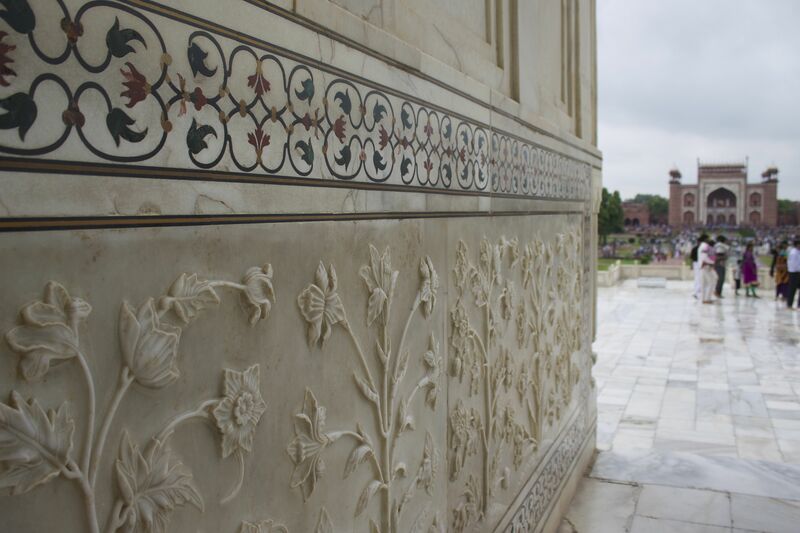 We also visited many other magnificent structures in Delhi and Agra – the “Baby Taj,” two Red Forts, the Lotus Temple, numerous tombs of kings and emperors, and many shrines of religious leaders. It is difficult to count all of the sites we visited because many of them were tucked away among residential and market areas. 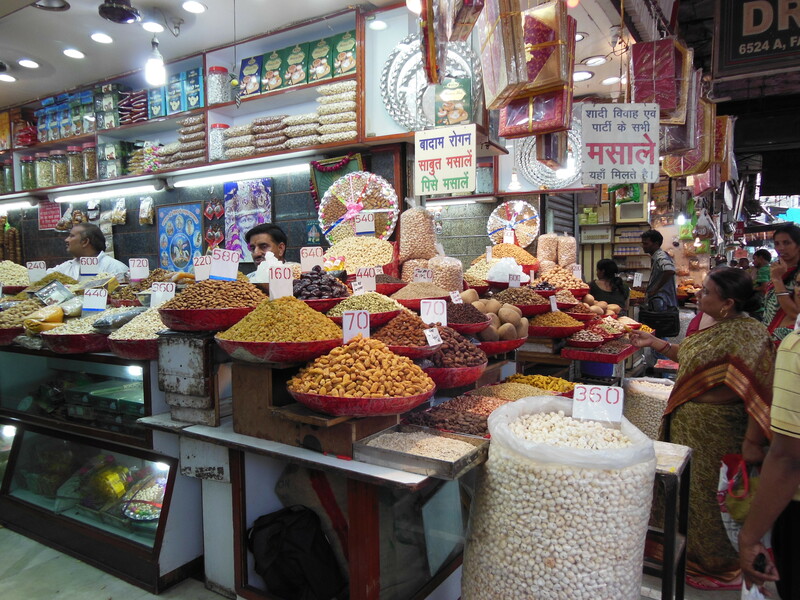 Another highlight of the trip, and the best part in my opinion, was exploring through the markets. On Wednesday, we went to a craft market in Delhi and spent the whole evening wandering through the handmade art and jewelry. On Friday, we went to a vast market called Chandi Chowk in Delhi that is supposedly the oldest running market in all of India. It is called Chandi Chowk, or Moonlight Square, because the Mughal emperor could see the moon’s reflection in a channel running through the market from the Red Fort at night. 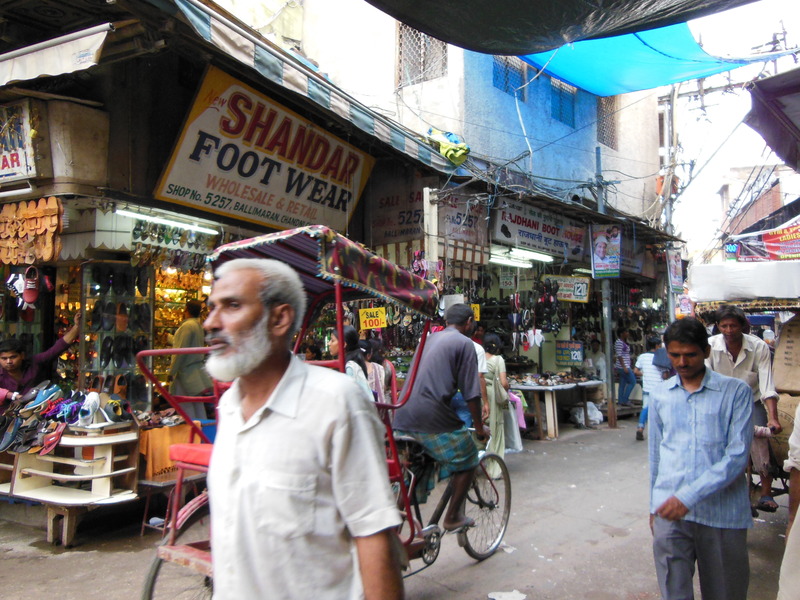 When we arrived we stayed on the main road, but we soon realized that there were small alleyways branching off in all directions that were packed with a maze of shops and vendors. The best part about the market was that it was divided into sections based on the merchandise being sold. There was one section lined with at least 20 shops selling tea and spices, and another alleyway that had nothing but shoes as far as you could see. We were in heaven! We also visited a market in a Tibetan neighborhood just outside New Delhi. It was so interesting to see the immediate contrast when we arrived in the Tibetan area because it really felt like we were in a different area of the world. The vendors were selling winter clothes and Buddhist items, and the people were even dressed differently. We went to a restaurant and ate a Tibetan dumpling soup called Thenthuk, which was a refreshing change from the Indian meals we had been eating the whole trip. I am so glad that we made the spur-of-the-moment decision to go to Delhi because the whole weekend was packed with exciting activities, new places, and a ton of good food. Just when I thought I was getting to know India pretty well, I found that North India is a completely different place from Hyderabad. 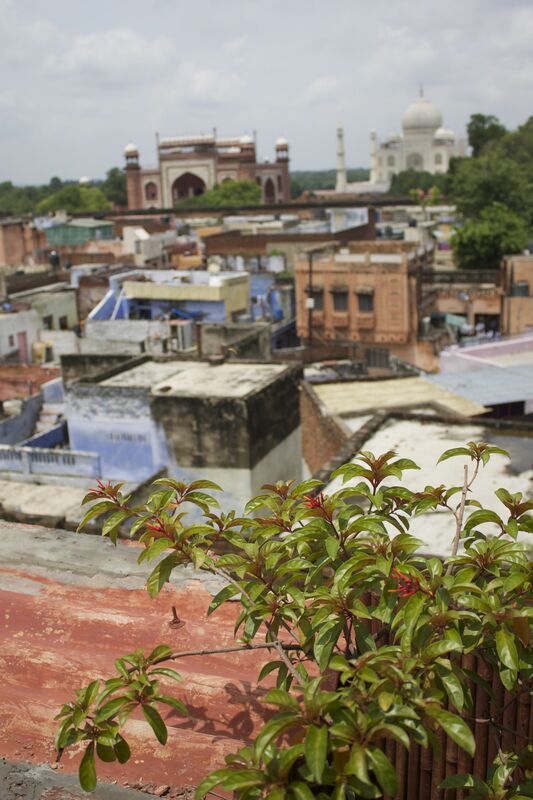 This trip put an image into my mind of India as a patchwork of different cultures. They are all sewn together into one nation, yet each one remains distinct – from north to south, east to west, and even down to the very neighborhood. I know now that it would take a lifetime to experience all of the cultures, places, and people of India, and I am only here for one semester! 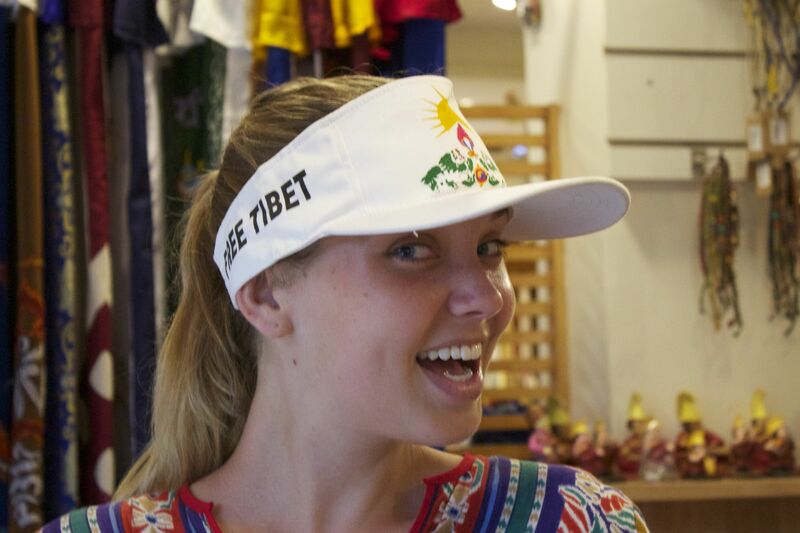 This entry was posted on Monday, August 19th, 2013 at 4:48 pm and is filed under Fall 2013, Rhiannon in India. You can follow any responses to this entry through the RSS 2.0 feed. You can leave a response, or trackback from your own site.